England cricketers past and present were out in force at Lord’s last Thursday (21st April) to support the launch of this year’s Cricket United. England’s World Twenty20 heroes Jason Roy and David Willey joined Steven Finn, Chris Tremlett, Alex Tudor, Devon Malcolm and many other legends of the game at a fundraising dinner in aid of Cricket United’s three beneficiary charities, the Lord’s Taverners, Chance to Shine and PCA Benevolent Fund. 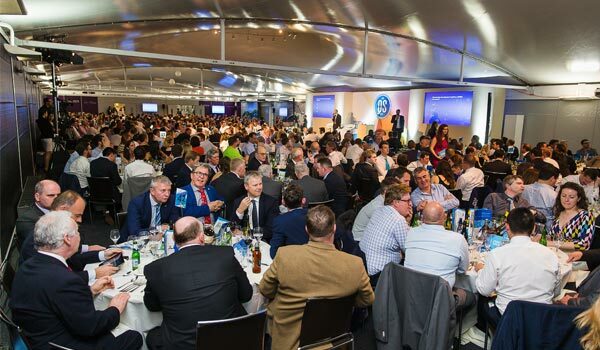 At the launch, Sky Sports presenter Rachel Wyse hosted the ‘Question of Sport Gala Dinner’, organised by Paragon, with England Rugby legend star Matt Dawson and Phil Tufnell taking centre stage. Guests took part in an interactive version of the Question of Sport TV Show with each round split between the dinner courses. Steven Finn, David Willey and Jason Roy then took to the stage for the evening’s Q&A; answering questions ranging from the World T20 final to the career-ending medical condition of James Taylor. But it was young Jack Buse who stole the show. The six year old cricket fan from Essex is a beneficiary of Cricket United and currently in remission from acute lymphoblastic leukaemia. His dad James described Jack’s brave and successful battle against cancer and his son’s huge love of cricket. As he left the stage, all the guests in the room gave Jack a standing ovation. Jack is just one of thousands of people, young and old, who are benefitting from your support of Cricket United. The Gala dinner raised just over £50,000 for Cricket United which is split evenly between the three charities. The money will help a range of beneficiaries, from children starting out in the game to professional players retiring from it. | PCA Benevolent Fund continue to run a confidential counselling service, providing advice and treatment to players suffering from debilitating issues, either mentally or physically. Cricket United is supported by England & Wales Cricket Board and Surrey County Cricket Club; as well as corporate partners, media and fans who really get behind the appeal and make it such a success. To donate to Cricket United, please click here.